There is often confusion when it comes to registering domains names and intellectual property. The reason for this is simple – when a company needs to decide on a domain name, it generally chooses one of its own trade marks. However, it might be that someone else has already registered a domain name that is similar, or the same, as a company’s trade mark. As a result, the issues that surface in trade mark disputes often crop up in domain name disputes too. However, the court has already recognised that trade mark principles are applicable in domain name disputes. Who handles domain name disputes? 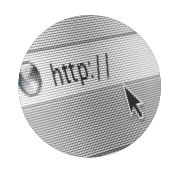 When domain names first appeared on the scene, disputes as to who was entitled to the registration of a particular name were handled by the courts, usually by way of trade mark infringement or passing-off proceedings. 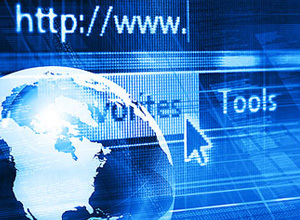 But now there are Alternative Dispute Resolution (ADR) procedures that relate to the various domain names. So, for example, disputes regarding ‘.co.za’ domain names are handled by way of the ADR procedure that was established by the Regulations passed under the Electronic Communications and Transactions Act (ECT Act) 25 of 2002. When does a domain name have trade mark infringement? An example of a case which deals with the issue of domain name registrations and trade mark includes kingo.co.za and kingonumbers.co.za. It was found that, even though the registrant had got in first with a domain name registration (kingonumbers), the complainant, Kingo, had stronger rights to the trade mark Kingo through use, and Kingonumbers would be seen as a natural extension of Kingo. The review court used this quote from the panel’s decision: The crux of this decision is who owns “Kingo”? It is settled law that the person who has appropriated a mark for use in respect of goods or services as a trade mark, may claim to be the proprietor. When it comes to domain names, if a name has been trade marked by someone else, then you shouldn’t try using it. It would be like registering a domain name such as nikeshoes.co.za – You would be treading on thin ice. However, if your chosen domain name has not been trade marked, then it shouldn’t be a problem, even if another company would seem to benefit from your registered domain name. For instance, registering a domain name such as greatshoes.co.za would not be a trade mark violation if “great shoes” has not be trade marked. If another shoe company wanted to use that domain name, they would have to buy it from you or find another. A trademark is defined in Section 2 of the Trade Marks Act of 1993 as a mark used or proposed to be used by a person in relation to goods or services, for the purpose of distinguishing the goods or services in relation to which the mark is used or proposed to be used from the same kind of goods or services connected in the course of trade with any other person. Examples of trademarks would be BMW in relation to cars, or the golden arches of McDonald’s in relation to fast food. The definition above includes any mark that can be graphically represented; however, for the purposes of this discussion, we will only speak of words that can be represented as a domain name. A domain name is a unique name that identifies a website, for example, the ‘google’ in www.google.com. One of the functions of a trademark is to identify the origin of certain goods or services. In certain cases a domain name may also assume a similar role in that it may identify the origin of a business and its goods and services. A domain name may be registrable as a trademark if it is distinctive and used in commerce in relation to goods and services. Therefore it is possible for a domain name to include a trademark, for example ‘www.sony.co.za’, ‘Sony’ being a registered trademark. The fact that trademarks are territorial by nature and that the same mark may be registered in the same country for different goods or services creates a conflict between trademarks and domain names. For example, you can register the trademark ‘Helix’ in relation to computers in South Africa and in England. Additionally you can register the trademark ‘Helix’ in relation to computers in South Africa and in relation to sweets in South Africa. However, if your trademark is well-known, for example, the ‘Beacon’ trademark in relation to sweets, then you may have remedies to bar the registration of said trademark in relation to other goods or services, depending on the circumstances. 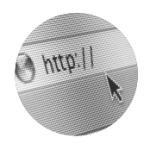 In contrast, a domain name is completely unique and universal and is allocated on a first-come first-served basis. For example, there can only be one ‘www.victoriassecret.com’ in the world even though X may own the trademark ‘Victoria’s Secret’ in America and Y may own the exact same trademark in South Africa. Lucy is the proprietor of the well-known trademark Coco Chanel, which is registered in America, South Africa and various other countries. The website www.cocochanel.com is associated with the Coco Chanel brand. She decides that she would like to market the brand more in South Africa, so she instructs her IT department to acquire the ‘www.cocochanel.co.za’ website. Her IT department reports back to her and informs her that there is already such website and that it is used to sell clocks in South Africa. Lucy wants to know if there is a way that she can get the domain name from the clock seller. As the trademark proprietor of a registered trademark, Lucy has three options. She can attempt to purchase the domain name from the South African clock seller, she can pursue civil litigation for trademark infringement or she can engage in alternative dispute resolution (ADR). There are generally only these three options because of the fact that most domain name registries adopt a passive attitude towards deregistration or transfer and will only proceed therewith on the basis of a court order or a decision of a recognised ADR service provider. Due to the high costs and lengthy nature of litigation and because the clock seller refuses to sell his domain name to Lucy, she decides to attempt ADR and leave civil litigation as a last resort. Lucy can approach the South African Institute of Intellectual Property Law (SAIIPL), which is accredited as a dispute resolution provider in relation to the .za Alternate Dispute Resolution Regulations. In terms of the new procedure anyone can lodge a complaint against a .co.za domain if the domain name “takes advantage of the rights” of that party or “is contrary to law or likely to give offence to any class of persons”. Unlike court litigation, disputes filed with SAIIPL are normally concluded within the short period of two to three months and the fees are significantly lower than normal litigation. Thus it is better to attempt ADR before civil litigation if your complaint falls within the scope of SAIIPL’s services.